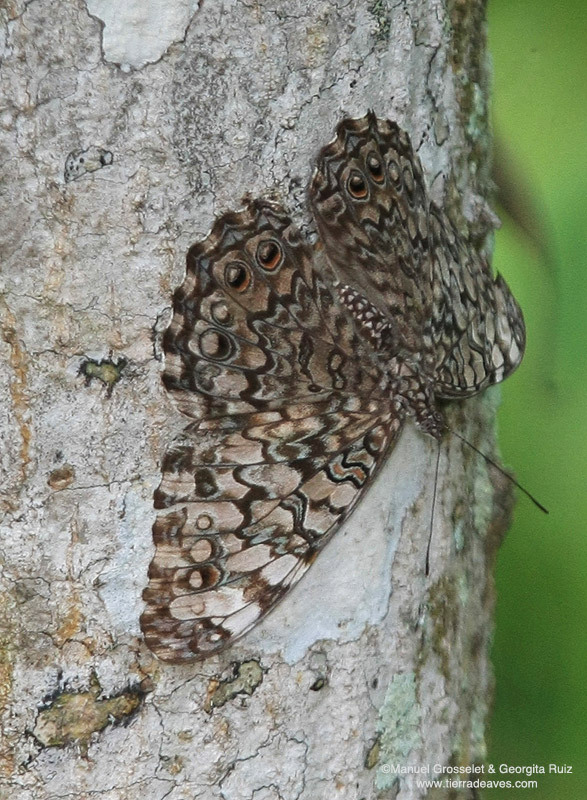 Identification: Upperside is mottled brown and white; forewing cell bar with some red; hindwing eyespots have orange scales before the black crescents. 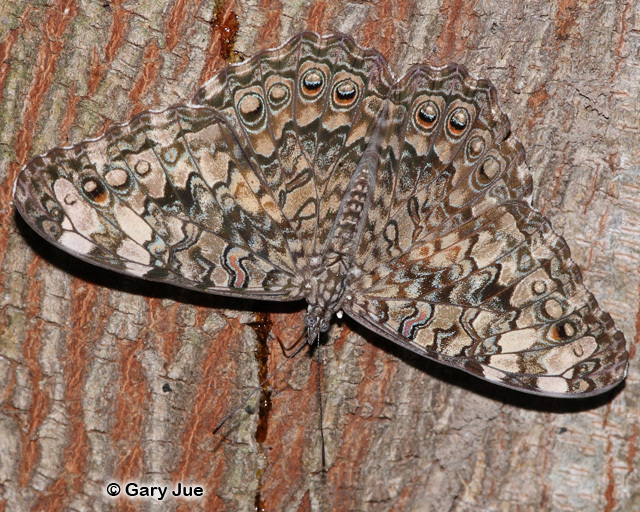 Underside of hindwing is white; submarginal eyespots are composed of a brown ring around a black crescent in a white center. Wing Span: 2 3/4 - 3 3/8 inches (7 - 8.6 cm). 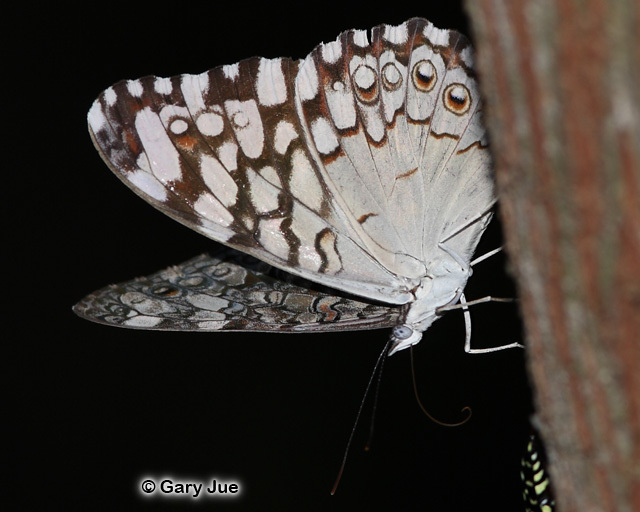 Life History: Adults rest on tree trunks head downward with their wings spread open. Males perch on trees and make a cracking sound when they dart out at passing insects (and people). Eggs are laid singly under leaves or sepals of the host plant; caterpillars are solitary and build resting platforms out of dung pellets. Before dark, adults gather on a single tree, then disperse to roost in nearby trees or shrubs. Flight: Many flights; throughout the year in the tropics, August-October in South Texas. 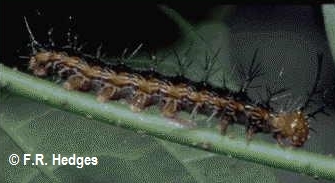 Caterpillar Hosts: Vines (Dalechampia) and herbs (Tragia) in the family Euphorbiaceae. Habitat: Subtropical forest and edges, cultivated areas with trees. Range: Argentina north through tropical America to Mexico. A rare stray to the lower Rio Grande Valley of South Texas. Conservation: Not required for a rare stray.